The ultimate fusion of skincare and luxury, LUNA Gold and LUNA Platinum for Men combine sophisticated dual T-Sonic™ technology with 18-karat gold or solid platinum bases. The value of LUNA Gold goes far beyond its captivating design; its stunning appearance is surpassed only by the spectacular enhancements it offers the skin. 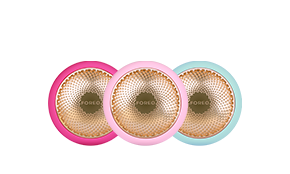 It is this combination of timeless design with revolutionary technology that reinforces FOREO’s vision that beauty systems can themselves be objects of beauty. Beyond its luxurious appeal, LUNA Platinum for Men truly meets the needs of a man’s skin by bringing an unprecedented level of sophisticated technology to men’s skincare. 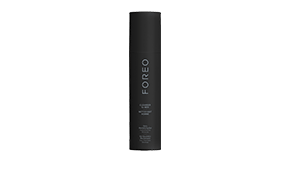 Accentuated by the luster of its platinum base, this exclusive skincare breakthrough is the ultimate grooming accessory only the most urbane of men. 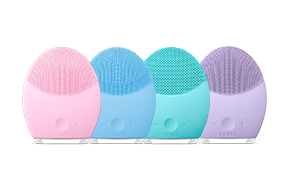 Thanks to the 8,000 T-Sonic™ (transdermal sonic) pulsations LUNA luxe channels every minute, its silicone cleansing brush delivers effective deep cleansing and massaging that remains gentle on the skin. 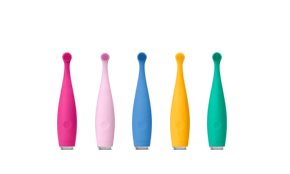 LUNA luxe’s cleansing brush consists of rounded silicone touchpoints gentle enough to use every day. 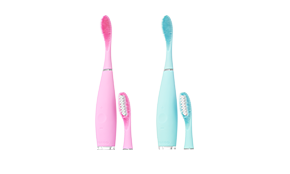 Its silicone body is also made of nonporous silicone that resists bacteria buildup to be up to 35X more hygienic than standard bristled cleansing brushes. Luxurious rare metals combined with T-Sonic™ pulsations provide a cleanse and facial massage like never before. 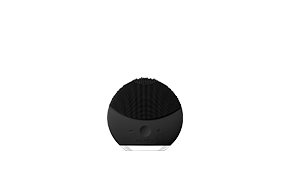 LUNA luxe works in combination with the rare metals to provide deep T-Sonic™ pulsations to thoroughly cleanse and clean deep pores. 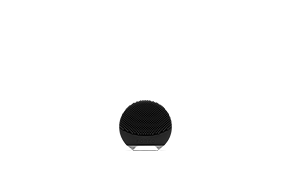 LUNA luxe directs lower-frequency pulsations through its anti-aging surface of concentric silicone ridges directly onto wrinkle-prone areas, massaging and firming the appearance of the skin. 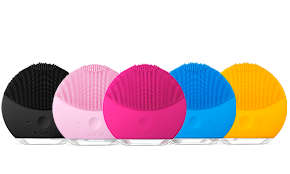 Made of quick-drying, nonporous silicone that resists bacteria buildup, LUNA luxe is, by far, the most hygienic way to cleanse your face as it is up to 35X more hygienic than standard sonic-cleansing brushes. 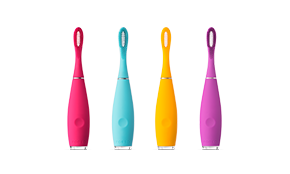 Completely waterproof for use in the bath or shower and with 8 speeds, LUNA luxe is lightweight, easy to carry and each full charge lasts up to 450 uses, making it perfect to take on the go or on holiday. Apply your regular cleanser. Wet LUNA luxe and activate its Cleansing Mode. 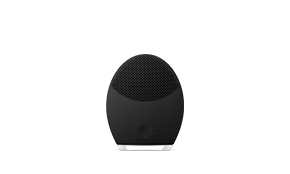 Gently move LUNA luxe's cleansing surface in circular motions around your face for 1 minute. Activate LUNA luxe's Anti-Aging Mode. Press its anti-aging surface onto wrinkle-prone points for a total of 1 minute.